Could a Big Field Produce a Strange 2020 Democratic Nominee? Could a Huge Field Lead to the Democrats Nominating Their Own Donald Trump? Part of the explanation usually offered for the extremely unlikely elevation of Donald J. Trump to the presidency is that he outflanked a huge field of bland Establishment conservatives and forced an astonished Republican Party to take a wild ride with him all the way through November. And it’s true things might have turned out differently if Establishment conservative voters had been consolidated by a single candidate (say, Marco Rubio) early in the primaries, or had a hard-core ideologue like Ted Cruz gotten into a one-on-one with Trump before the deal was all but done. We’ll never know, of course; it’s possible an angry God determined to subject America to a Trump presidency from the get-go as punishment for our sins. More than a dozen candidates may run for the Democratic nomination in 2020: governors from the Plains states, senators from the coasts, billionaire entrepreneurs. But the most serious so far—Kamala Harris, Elizabeth Warren, Cory Booker, and Bernie Sanders—run the risk of falling into the same trap as the main Republicans did in 2015. All of them—even the previously ideologically flexible Cory Booker—are competing for the same section of the primary electorate, one that wants to trade in centrist triangulation for social democratic economics. Given the repeated failures of deregulation, fiscal conservatism, and crony capitalism, this is an understandable instinct. Any one of these candidates could win the nomination if he or she were the only one in the mix. But there are (at least) four or five of them, all clustered around the same positions; come next summer, they will be fighting for the same voters, and as a result, they could all lose. It’s the same bad math that afflicted Cruz, Kasich, and Rubio four years ago, only now it’s on the other side. [P]eople who are economically more left-wing—angry about the powerful moneyed interests who, they believe, have rigged the economy in their favor—but more traditional on questions of social order and skeptical of the nation’s governing elites. New America’s Lee Drutman recently found that these kinds of voters make up 29 percent of the entire American electorate. The “radical centrists” include most of those “populist”-oriented Obama–Trump voters Democrats lost in 2016. Teles describes a hypothetical candidate who could appeal to them via redistributive policies that don’t require big government or its clientele-tending bureaucracies, while also taking crime and immigration concerns seriously without becoming Trump-y. And he argues that there are enough voters craving this mix of policies to win a Democratic presidential nomination if the field is as large and ideologically conventional as seems likely at this point. Such a candidate may not exist. But the potential Democratic contenders, like Joe Biden or Amy Klobuchar, who have not yet fully attached themselves to the left’s agenda, could incorporate at least parts of this appeal. 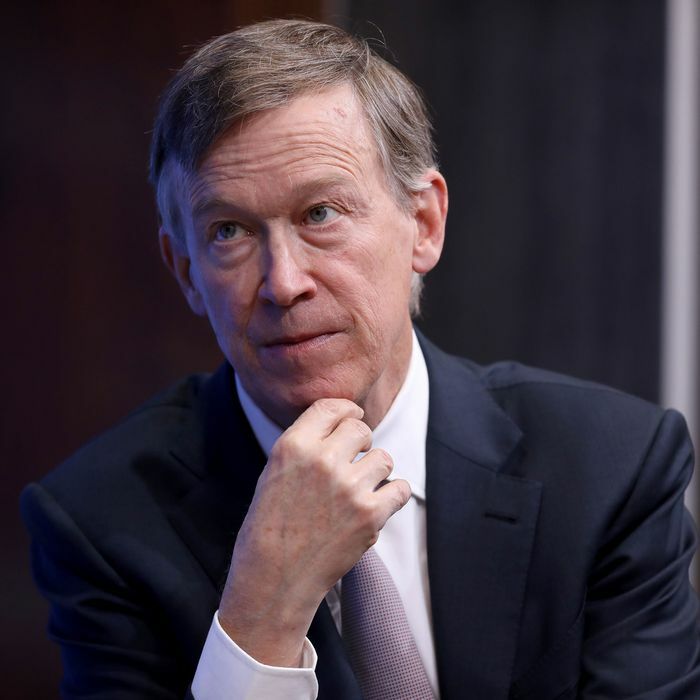 And there may be an opening for a purer version of this ideologically unorthodox Democrat, especially someone like outgoing Colorado Governor John Hickenlooper or former New Orleans Mayor Mitch Landrieu, who has not yet developed a clear political brand. Would a standard-brand Clinton–Obama “centrist” of the non-radical variety like Biden generate the kind of grassroots excitement Teles thinks is out there to be captured? It’s hard to say. A Suffolk-USA Today poll released just this week showed Democratic voters expressing roughly equal “excitement” about Biden and a hypothetical “someone entirely new.” Yes, the Democratic presidential nominating process with its strictly proportional delegate-award rules provides a clear path to respectability for any candidate who can win a consistent minority of primary or caucus voters. But then again, the heartland states most likely to support a “radical centrist” candidacy aren’t well-positioned early in the 2020 calendar. And the calendar — particularly now that California has moved up from June to early March — might well enable a progressive candidate to execute the voter consolidation coup that eluded Trump’s opponents. All in all, a big Democratic field could just as likely produce a front-runner who has high name ID and/or unusually broad support (descriptions that could match not only Biden but Beto O’Rourke or even Bernie Sanders) as some sort of ideological outlier. What Teles has described, after all, has happened just once in recent Democratic presidential history, with Jimmy Carter in 1976 coming out of nowhere to stampede the party in an unlikely direction. But this scenario is a reminder that ideological conformity within a political party has its limits. To the extent the major Democratic candidates sound like magpies reciting a formula of single-payer–minimum-wage-job guarantee–stop ICE, some voters may look for a different tune. And if there is a surprise nominee — left, center, or “radical center” — the horror of a second Trump term will likely keep Democrats in the harness despite their issues with the candidate. Could a Big Field Produce the Democrats’s Own Donald Trump?